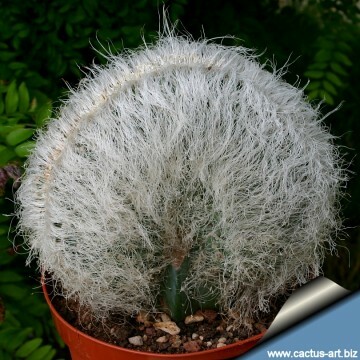 This is really a beautiful crested cactus but is still rare in cactus collection. 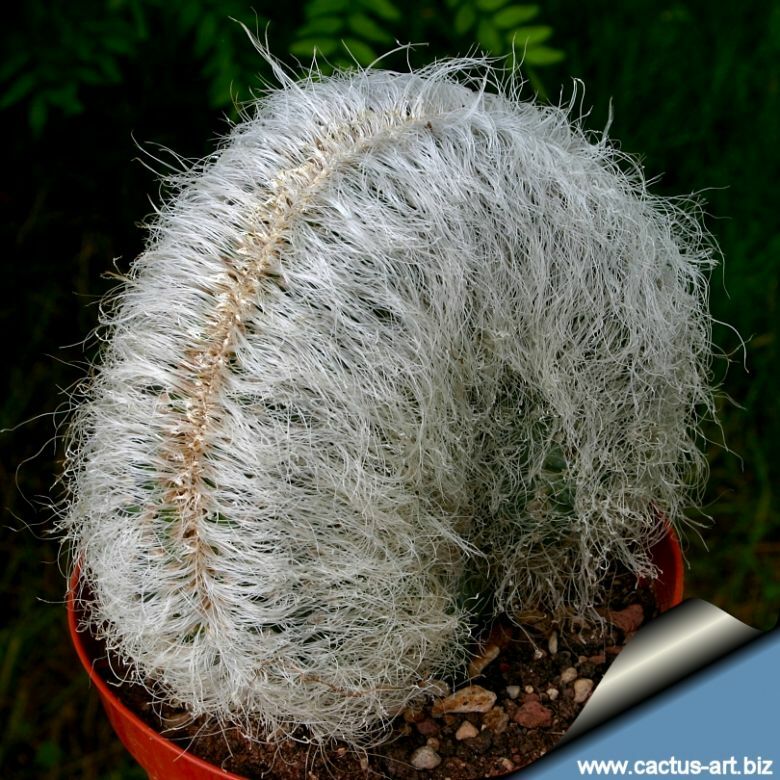 Description: The standard columnar Cephalocereus senilis (commonly known as the old man cactus) is very popular and widely grown for its woolly appearance, but this beautiful crested form is still rare in cactus collection. The most striking feature is the long, greyish-white hairs it possesses, which serve to protect it from the harsh sun common to its native habitat in eastern Hidalgo, Mexico. 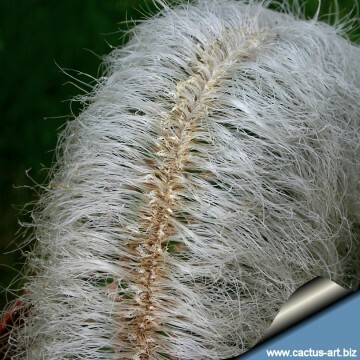 More precisely the long white hairs are actually long bristles that benefit the plant by reducing sun exposure and by trapping a layer of air next to the cactus body. This helps to cool the plant in the summer and keep it warm in the winter. The coat of hair makes many plants appear almost snow-white (however, the hairs conceal numerous sharp yellow spines). Cultivation and Propagation: It is a slow growing species, but it can be much faster when grafted and sustained with proper watering and fertilizing. Plants grown on their own roots need a very well-drained soil mix (more so than many other cacti) and little to moderate water in summer, almost none in winter, as they are very rot prone particularly when young. They require lots of bright sunlight, which encourages growth of the hair. Frost tolerance: hardy to -10°C for short periods. It is possible to wash the white "hair" with diluted shampoo or bleach to keep it a candid white. The grafted plants are very easy to grow and will form a large white brain-like mounds with age. Watering during the active growing season (spring and summer); this will encourage steady growth, and prevent the plant from shrivelling. Propagation:: This plant can be propagated only vegetatively by grafting or (rarely) cuttings.